Rupesh Singh is a senior executive with over 17 years of professional experience. He has strong leadership and interpersonal skills with proven experience in Corporate Development, Operations, Human Resources, Marketing and Sales, Banking and Finance, and Project Management. Rupesh’s strong understanding of Australian and global business ethics, culture, regulations and policies in diverse industries at a senior level has given him the rare combination of high-level multi-skilling within multi-business cultures. 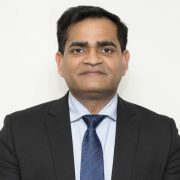 Prior to starting his own educational institution, Rupesh worked with Fortune 500 and multi-national corporations, including Oil And Natural Gas Corporation, Essar Steel Ltd, and Global IT Australia Pty Ltd. In 2001, with a small task force, he successfully established an IT company which provided solutions to small and large enterprises, and the company eventually became a Gold partner of Microsoft and worked with multinational IT companies. Since 2005 Rupesh has been running a number of educational institutions, including Asia Pacific International College (APIC). His parent company, Education Centre of Australia (ECA), has expanded into the international education market, setting up offices in India and The Philippines, with plans for further expansion in Europe. The company also has an established network of agents in more than 30 countries.